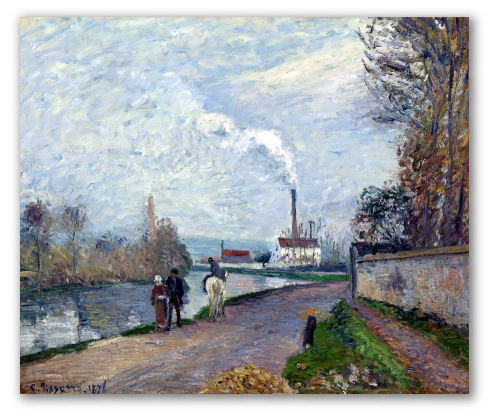 "The Oise near Pontoise in Grey Weather", by Pissarro, oil replica. 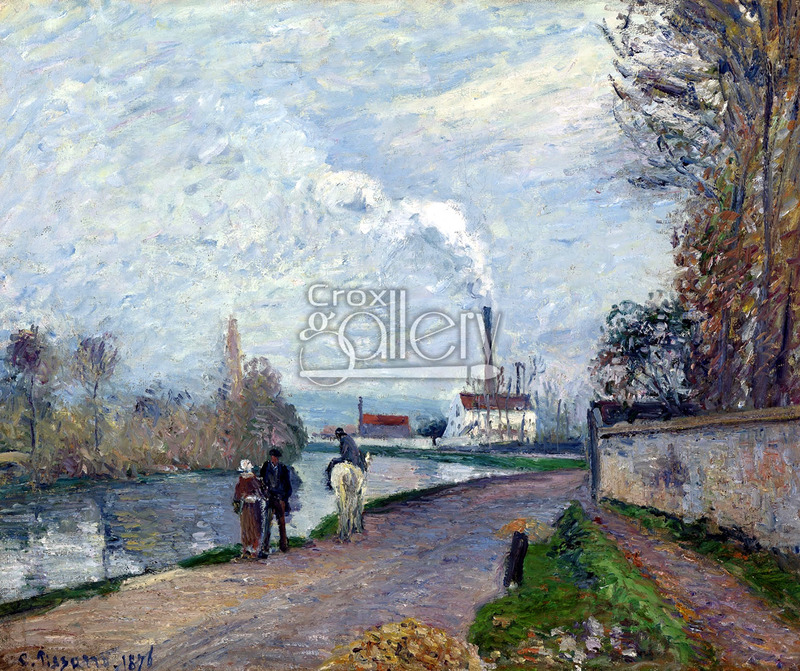 Painting entitled "The Oise near Pontoise in Grey Weather". Original French title: L'Oise à Pontoise, temps gris. Painted in 1876 by Camille Pissarro. This painting shows Pissarro's almost fanatic appreciation for the rural surroundings of the countryside. The artist himself was completely against the mass integration of industrial jobs. Because of this, he emphasizes the contrast between the chimney in the background and the tranquil lifestyle represented by the two passers-by and the man on horseback.